Gavin is our head instructor for Surfing and S.U.P. Gavin also coaches intermediate windsurfing. He leads all sea based aspects of the centre so expect to see his face at the many beaches Tiree has to offer. 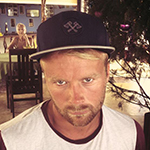 He is a qualified ASI surf instructor, RYA intermediate planing windsurfing instructor and BSUPA level 2 Stand Up Paddleboarding instructor. From a very young age Gavin has spent much of his life growing up (and surfing) in Tiree, and with over 5 years working with us pretty much full time, he knows every hot spot around the islands coastline. John grew up on Tiree & has been working with Wild Diamond for over 10 years. He is well known to all of our regular visitors. John works at the shop, off site watersports coaching and campsite management, effectively backing Willy up in his role as centre principal. 2013 British National Junior Wavesailing champ and all round general waterman. Tristan excels in windsurfing, S.U.P. and surfing and is a great ambassador for all three sports. His experience for top end windsurf and sup coaching grows daily. He is also a good guy to speak to for technical information on windsurfing equipment. Tristan is sponsored by Tabou Boards, Gaastra Sails and Wild Diamond. 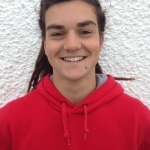 Tristan is RYA level 1 qualified windsurf instructor. Now a well know character on Tiree with over 3 seasons with Wild Diamond, Jack’s areas of expertise include windsurfing & stand up paddleboarding. 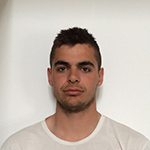 Jack is primarily based at Loch Bhasapol and is in charge of general operations on site at our main venue. He is responsible for organising coaching and hire for all of our sports and is often found running around on the bank while everyone else is having a good time out on the water! 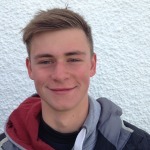 Jack is a RYA Level 1 qualified windsurf instructor. At Wild Diamond Watersports we value our team of staff greatly and the continued work they provide every year. We are confident you will find the team as fantastic as we do and hope that you will agree that we have a great team working with us. Anyone looking for employment should send CV's to our business address above, for consideration. We will contact you immediately on receipt of a CV to advise on our current staffing position.